Ergo-therapy is the scientific method utilizing aim-directed activities (through gaming-therapy, kinetic therapy and artistic activities) for the person’s re-abilitation and education in the areas of functional occupation (everyday life activities, productivity, entertainment) with a long-term aim of its rehabilitation in the society. 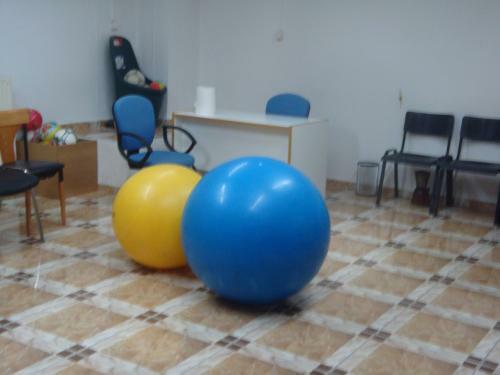 The gaming therapy room of the Efthimeio Centre. Through gaming therapy, the therapist, with respect to the child’s limits and habits, helps it process central issues of life that preoccupy it. Among the aims is the socialization of the child, the development of creativity and the understanding and expression of sentiments, difficulties and conflicts. The result is achieved by making the individuals capable of making activities, which strengthen their ability to participate in everyday life.